Back cover blurb: WHAT I THOUGHT I KNEW: In 1998, Maryanne Doyle disappeared and Dad knew something about it? Maryanne Doyle was never seen again. WHAT I ACTUALLY KNOW: In 1998, Dad lied about knowing Maryanne Doyle. Alice Lapaine has been found strangled near Dad's pub. Dad was in the local area for both Maryanne Doyle's disappearance and Alice Lapaine's murder - FACT Connection? Trust cuts both ways . . . what do you do when it's gone? Sweet Little Lies is a police procedural novel with a bright, funny, intelligent detective at its heart. DC Catrina (Cat) Kinsella is working in London when Alice Lapaine's body is found. There is nothing particularly unusual about this, murders unfortunately do happen. Particularly in London. But Alice Lapaine's isn't actually Alice Lapaine. She's Maryanne Doyle, a teenager who disappeared from Mulderrin when Cat was eight and on holiday there with her family. Cat remembers Maryanne's disappearance as if it were yesterday. Her Father was questioned about the teenagers sudden disappearance, as she was friends with Cat's elder sister. He lied and Cat knew this, but at eight years old remained silent, and was not questioned herself. But she has never forgotten what happened. Alice Lapaine's husband has no idea of his wife's previous identity, but that doesn't mean he isn't under suspicion. Their marriage wasn't exactly perfect. Cat doesn't think that he did it though. She's more concerned about where Alice/Maryanne's body was found... Very near to her Father's pub. Once again she knows she must remain silent or risk losing everything. Cat is a complex and troubled character, determined to do the right thing, even if that means having to betray family or keep secrets from those who trust her. What starts of as a relatively slow novel, soon gathers pace, and the ending will (probably) leave you open mouthed. It was certainly unexpected. 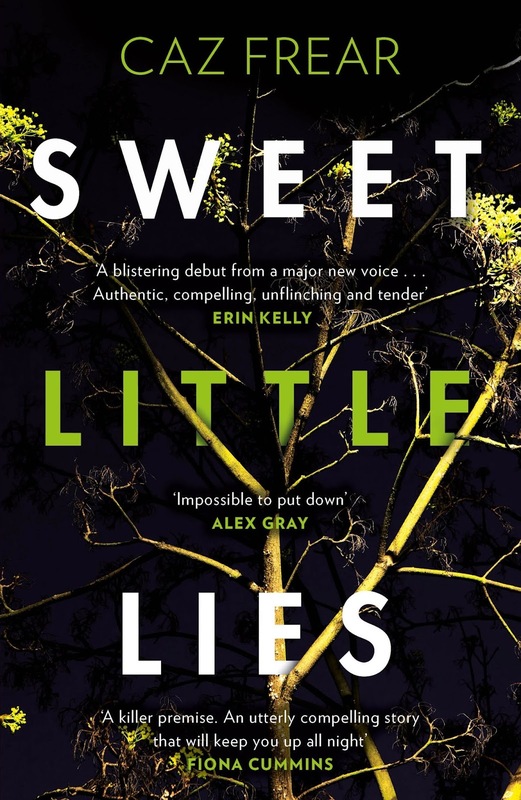 Sweet Little Lies is available now via Amazon online and all good book shops.